HomeBlogHome DecorBalance Salt and Pepper Set. 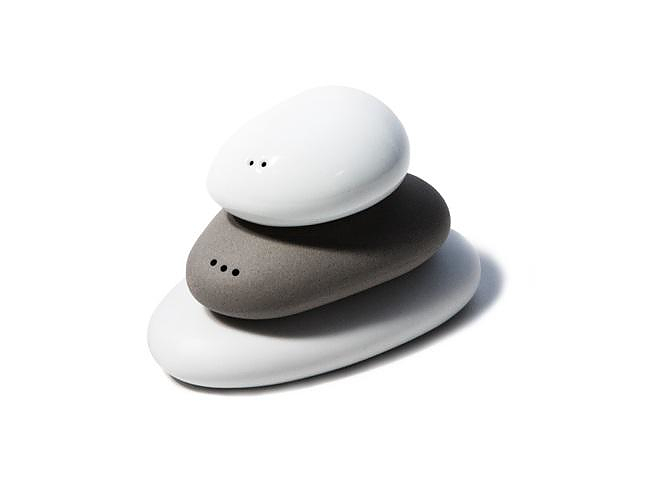 The Balance salt and pepper set was inspired by mind-relaxing balancing stones, it is composed of three pebble shaped containers and its design is relaxing and harmonious. 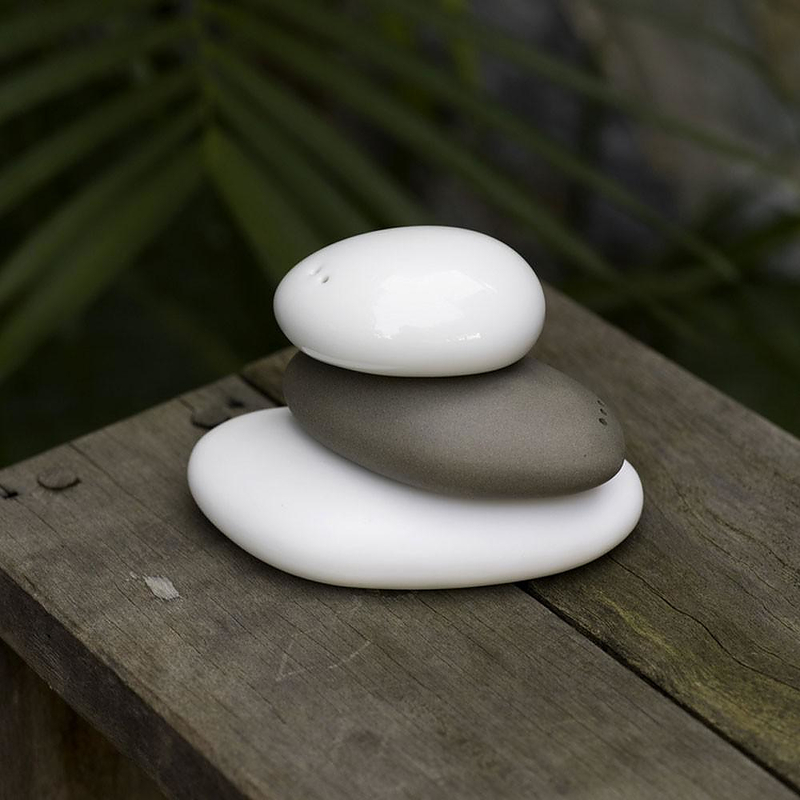 Maybe you have heard of a stone balancing, an art form in which rocks are balanced on top of one another in various positions. This discipline requires patience and sensitivity, it takes time, it relaxes you and helps you focus, in a zen-like manner. 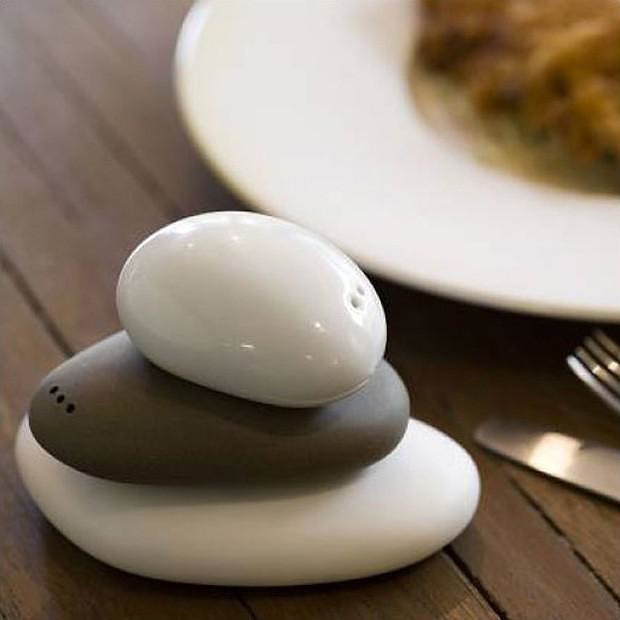 The Balance salt and pepper set is inspired by this art form, except that its pieces are made to easily stack, taking the balancing act out of the equation. 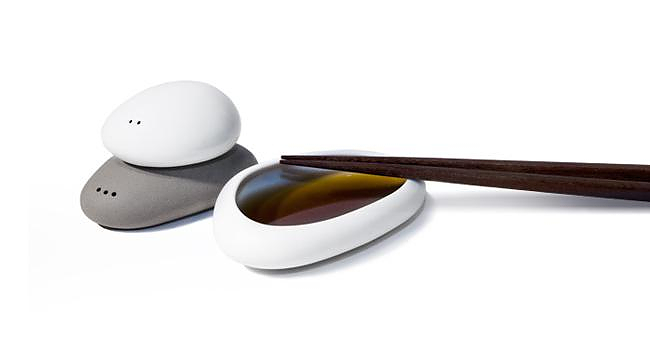 The set consists of 3 pieces, the white pebble is for salt and the black one is for pepper, while the base serves as a bowl for oil or a dipping sauce. 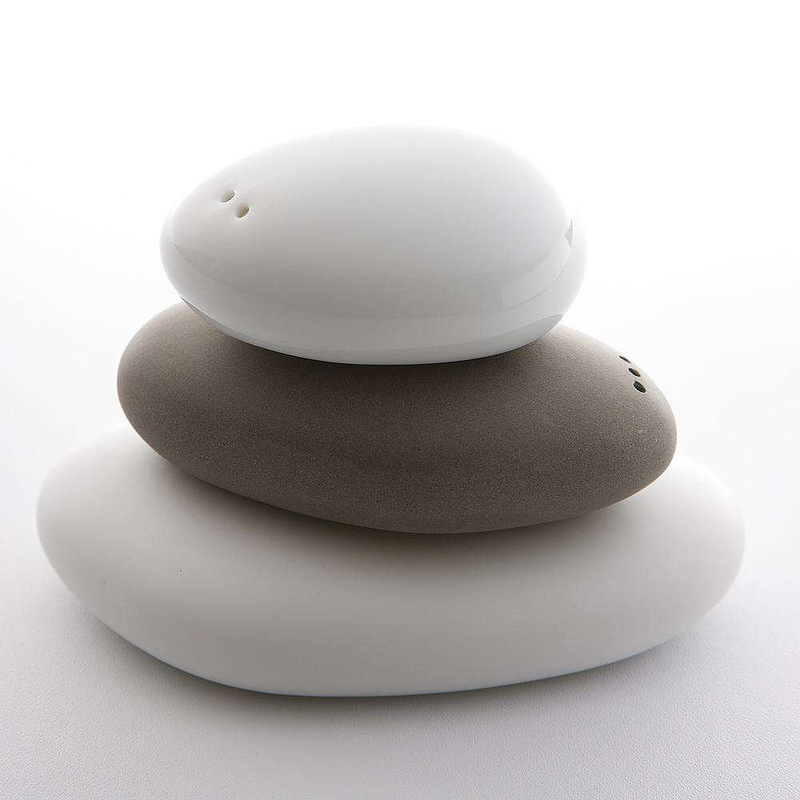 The three pieces are stacked on top of each other and give a sense of zen-like harmony. Depending on how you look at it, the shaker-holes look sometimes like eyes. Each piece in the set is made of porcelain and has a different surface treatment in order to offer a diverse look and feel: glossy white for salt, gray-black matte for pepper and white matte for the dipping vessel. 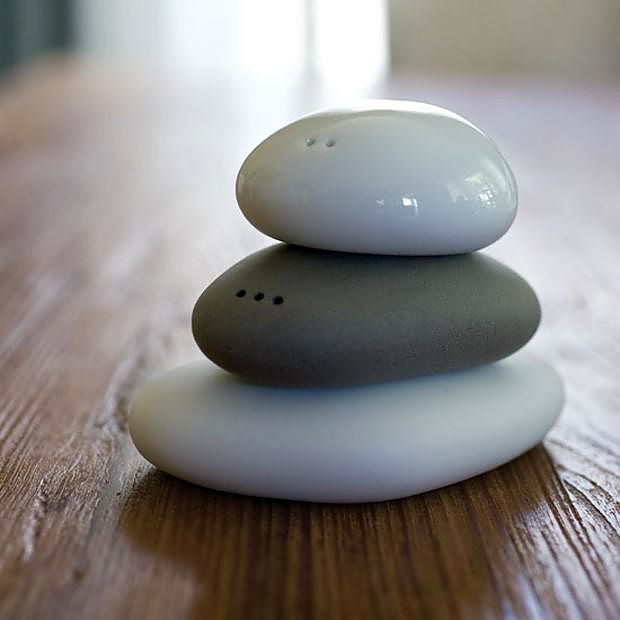 The Balance salt and pepper set has a simple and successful design that creates a gentle sense of balance and harmony. 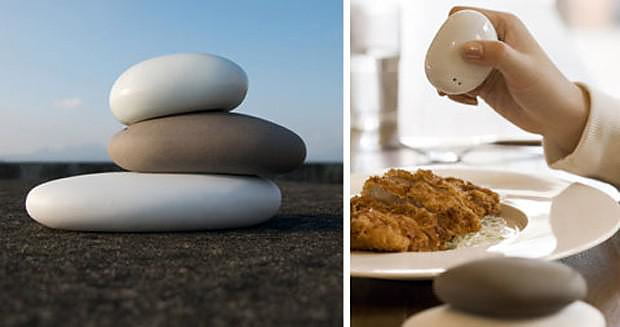 These unique salt and pepper shakers are very stylish kitchen accessories and they look well with any type of decoration from eastern styled to postmodern.